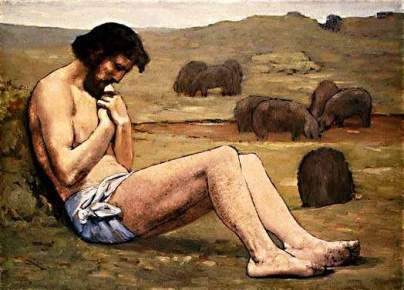 Which is the most famous parable of Jesus? Which parable is your own favorite? Why? The good Samaritan Who is my neighbour? The lost sheep There’s always one, isn’t there? The Prodigal Son Were both brothers saved? 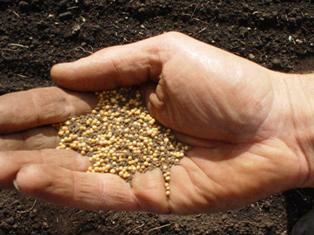 The mustard seed Its potential was enormous. Hiding your light under a bushel People must talk about Jesus’ ideas and live them. The sower and the seed The focus was not on the seed, but on the soil it fell on. 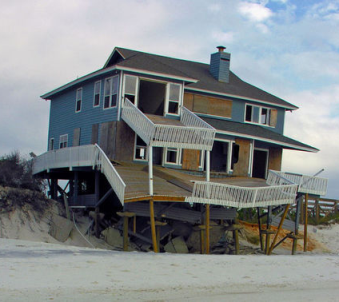 Houses built on rock or sand What are your foundations? The first thing that hits the reader is the difference between the wise and the foolish women. In many respects they were alike. But in their preparation or lack of it they were perfect opposites. The story turns on that difference. 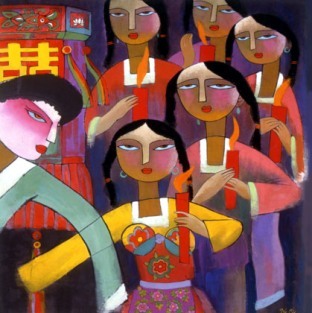 All ten had been invited to the banquet, and each of them knew their task: to welcome the bridegroom when he came. They waited joyfully for his arrival. All of them knew the bridegroom and the bride. And all of them became drowsy and fell asleep after a long wait. five did not. Five were ready and five were unprepared. So the first point of the parable is a question: Are you ready? Or are you among the five foolish women who had received the invitation, responded to it, but were not inwardly prepared? You know which group you should be in, and want to be in. You should be among the wise who, although they, too, had fallen asleep, were nevertheless ready. On that distinction hangs your destiny. The second point of the parable is that the difference between the wise and the foolish women was revealed by the coming of the bridegroom. The difference revealed itself in crisis. 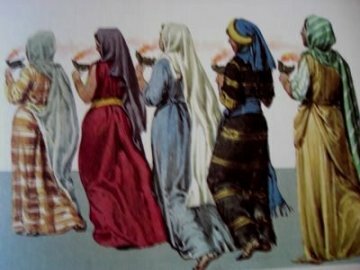 During the days before the wedding or the night leading up to the start of the feast few would have noticed that five women had adequately prepared for the bridegroom’s coming and five had not. But suddenly the bridegroom came, and the distinction was immediately apparent. will you be ready for Christ when he comes, when you meet him face to face? or will you have spent your time (and life) foolishly, on things that don’t matter in the long run? lost opportunities cannot be regained; there is a point of no return, and it will be too late to undo the damage of neglect. Who is my neighbour? Not someone else’s, but mine? Should the needs of your neighbour take precedence over normal practices? The priest and the Levite are criticised in the story for sticking to the rules (avoiding physical contact that would make them ritually unclean), rather than helping the wounded man. Who are you in this story? An onlooker, the dutiful law-abiding priest and Levite, or the wounded man lying in the ditch? 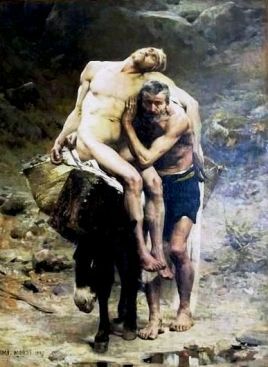 Or the Samaritan, a passerby who does not step over the man but goes out of his way to help? The story is sometimes presented as if its only teaching is about being kind to someone who is down on their luck. It is not. We are responsible for our fellow travellers. We have to be like the Samaritan. It is dangerous for him to stop and help – the thuggish criminals may still be nearby. But he does, because it is the decent, right thing to do. And his compassion is not limited to those of his own nationality, race or religion. In showing mercy to the injured man the Samaritan becomes his neighbour. The lawyer whose question has prompted this story is challenged to follow his example. Something has been lost: a sheep. Just one sheep. Why not write it off? There are still ninety-nine left. The loss is only one percent, and in any business you have to expect a certain percentage of loss. 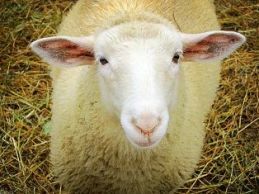 But even in its lost state this lost sheep remains valuable to its owner. He is determined to recover it. 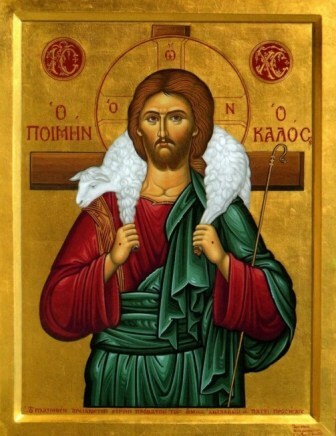 God is the shepherd who owns the sheep. He loves us and is determined to find and reclaim us, even though it is our own foolishness that has got us into a dangerous predicament. This parable seems a little unfair. What about the ninety-nine who have done what they were supposed to do? Shouldn’t they be valued too? But in fact the emphasis here is on the worth of each individual. You may be worthless in your own estimation, because you only see what you have made of yourself. God sees you differently. He sees what you were created to be and what, with His help, you can become. 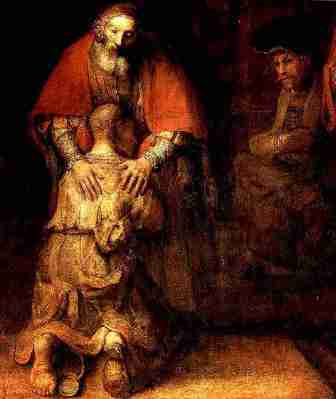 This parable is usually called ‘The Prodigal Son’, but it might just as well be called ‘The Lost Sons’. Both the young men are lost to their family, and by the ending of the parable it is not clear if both, or only one, has been found. The dramatic situation is that the younger son demanded full rights of possession over the portion (about one-third) of his father’s estate which he could expect to inherit in the normal course of events when the father died. While the elder son remained at home, and his father retained his rights over the produce of his portion of the estate, the younger son turned his share into cash and departed to enjoy the proceeds away from home and parental control. When dissolute living had reduced him to penury, and his new friends had deserted him, he was forced to take the most menial form of employment, one that was particularly loathsome to a Jew who regarded swine as unclean animals. He would gladly have eked out his miserable wages by sharing the carob pods which the swine ate but he was too disgusted to do so. 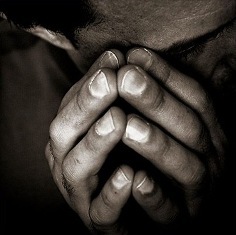 His desperate state brought him to repentance. He realized not only that he had landed himself in sorry straits but also that he was unworthy to be called his father’s son; he was fit only to be a servant, and he was prepared to humble himself and seek reinstatement at that level. The Prodigal Son, Rembrandt But before he reached home his father was already looking for his arrival, and before he could blurt out the whole of his intended confession, his father had welcomed him back into the family circle, treated him with great honour, and given orders for a feast of rejoicing over the return of one who had been as good as dead. One person refused to join in the celebration, and grumbled at the lavish care being given his ne’er-do-well brother. He accused his father of failing to treat him in the same free and joyous manner, only to be reminded that all the resources of the home were his. One can be lost even at home. The discovery of the lost and the resurrection of the dead were occasions for joy. One question is left unanswered: did the elder brother eventually join in the celebration and accept his brother back as a member of the family? The omission is deliberate. For the elder brother represents the Pharisees and their spiritual kin, and the parable is an appeal to them to receive the outcasts. Jesus was waiting for their verdict. 12 and the younger of them said to his father, ‘Father, give me the share of property that falls to me.’ And he divided his living between them. 13 Not many days later, the younger son gathered all he had and took his journey into a far country, and there he squandered his property in loose living. 14 And when he had spent everything, a great famine arose in that country, and he began to be in want. 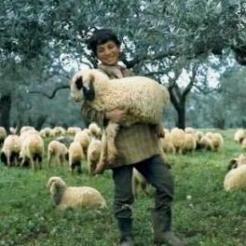 15 So he went and joined himself to one of the citizens of that country, who sent him into his fields to feed swine. 16 And he would gladly have fed on the pods that the swine ate; and no one gave him anything. But while he was yet at a distance, his father saw him and had compassion, and ran and embraced him and kissed him. 21 And the son said to him, ‘Father, I have sinned against heaven and before you; I am no longer worthy to be called your son.’ 22 But the father said to his servants, ‘Bring quickly the best robe, and put it on him; and put a ring on his hand, and shoes on his feet; 23 and bring the fatted calf and kill it, and let us eat and make merry; 24 for this my son was dead, and is alive again; he was lost, and is found.’ And they began to make merry. This story compares the tiny mustard seed to the large plant it will one day become – a great shrub as much as 9 feet tall. Its potential for growth was enormous. This must have been one of Luke’s favorite stories. He wrote the Acts of the Apostles and so knew all about the growth of the Church from a tiny mustard seed to a magnificant plant. Luke may be alluding to Ezekial 17:22-23, where a tree with birds nesting in its branches becomes an image of a powerful king able to protect his people with stability and peace. The birds that come to the tree find shelter and protection, but there are many different sorts of birds who use it: as there will be both Jew and Gentile in the kingdom of God. they must pay careful attention to Jesus’ teachings so that they could pass them on accurately. they must think carefully about the true meaning of what he said, and then not only talk about his ideas, but live them. we in the modern world are to be lights, living and proclaiming the gospel. The tricky bit is working out how we do this, and then putting our beliefs into action. 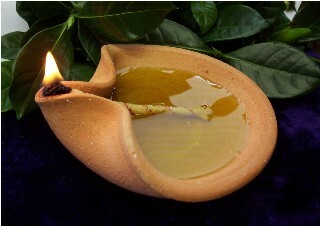 21 And he said to them, “Is a lamp brought in to be put under a bushel, or under a bed, and not on a stand? The sight of a sower working in his field was a common one in that agricultural society, and the varied fate of the seeds was well known to anyone who lived there. 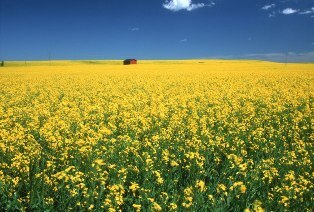 But the focus of the parable was not upon the sower, even though this story is called the ‘parable of the sower’. It was not even about the seed. What was important was the fate of the seed, which was directly dependent upon the kind of soil on which it fell. 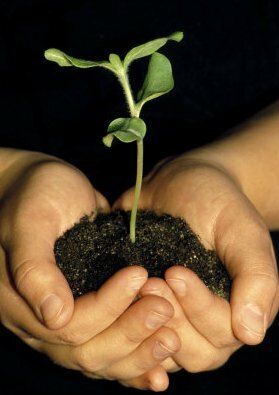 Without good soil, the seed could not take root, flourish and bear fruit. It would die, despite its best efforts to take root and grow. Rocky ground is not earth full of stones, but with rock close to the surface so there is no depth to the soil. 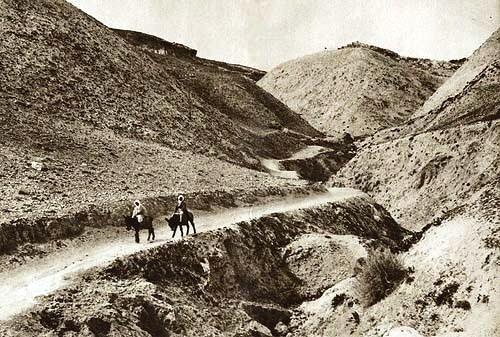 Such ground is common in Galilee. The place where the seed falls is all important, and not the result of an accident. It depends on the grace of God and the responsiveness of human beings – both are necessary if the plant of faith is to flourish. A poor woman has lost a coin. The drachma she has lost is probably about a day’s wage for an ordinary worker. The woman’s coins seems to be part of a family nest egg, a little hoard of savings in a world before banks. This money of hers may be a buffer against hard times, or perhaps has been put aside for a special purpose, such as a pilgrimage to Jerusalem. 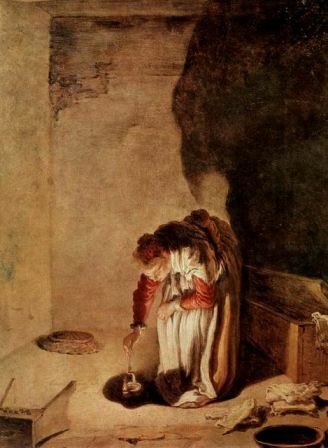 Using a lamp to catch the gleam of the coin and a broom to pull it out, she searches her house. When she finds the coin she happily calls her neighbors to share this moment with her. 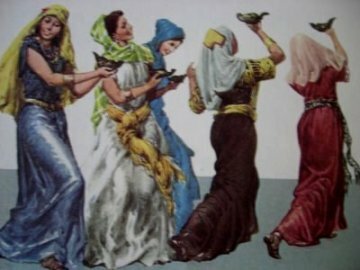 In the Greek text the friends are female: she is a respectable woman. We too are asked to identify this story with God’s joy in the restoration of a sinner, and perhaps ask this question: are we the sinner whom God searches for? Pharisees were leading figures in the life of Israel in New Testament times, but Jesus is often critical of them. On the other hand tax collectors were unsavory types, but Jesus befriended them. There may be hope yet for those who have been written off by respectable society. The Pharisee in this story attributes his goodness to the grace of God, and thanks Him. So far so good. But he seems to look down on the rest of the world. 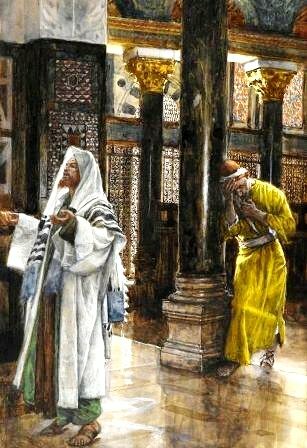 He is dismissive of the tax collector who is also praying in the Temple. Thank God, he says, I am not like that awful man back there – and in fact his life and achievements are impressive. But his love for God does not move him to compassion for those less fortunate than himself, and his righteousness may even drive him away from others. In contrast, the tax collector signals his unworthiness before God. His words echo the opening words of Psalm 51, about the sin and repentance of David. He does not shy away from the fact that as a tax collector for the Romans he oppresses his own people, but there is a depth of feeling in his words that is missing from the Pharisee’s prayer. Things are not necessarily as they first seem. We must look deeper at a situation before we understand it. 11 The Pharisee stood and prayed thus with himself, ‘God, I thank thee that I am not like other men, extortioners, unjust, adulterers, or even like this tax collector. There were shoddy builders in the ancient world, just as there are now. They cut costs by skimping on the all-important foundations, and in the end they were found out. Jesus uses this image to warn his listeners. The warning is not given to unbelievers or people who rebelled against Christ’s teachings, but to people who listened to them and said they believed. They heard what was right, acknowledged that it was right, and professed to be following Jesus’ teaching, but they did not put these teachings into practice. On the surface, everything seemed to be going well. They professed all the right things. They mixed with true believers. As long as life went smoothly it was difficult to tell them apart from people who truly believed. But at heart they were only talking about repentance, about belief, about love. And when the storm came, there was no real foundation to support them, and they collapsed.